Giving a sales presentation can be intimidating, but if you’re properly prepared, your pitch will likely come off as a seamless conversation between colleagues. 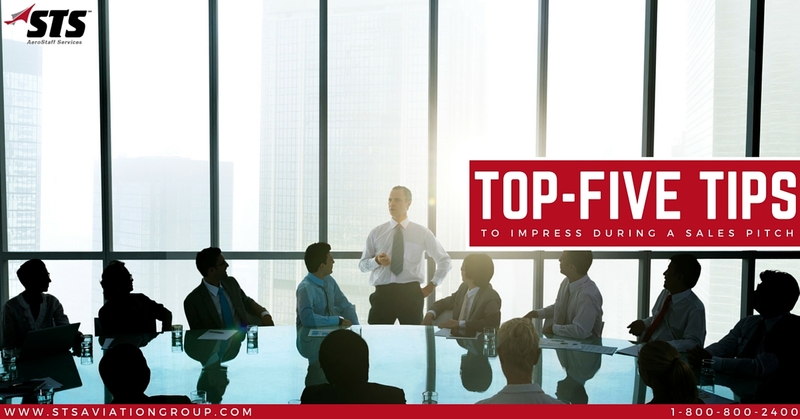 Here are some useful tips to impress your clients / prospective clients during your next sales pitch. Know your client: Knowing the basic, most general information about your client isn’t enough. If you want to impress then you’ll need to do your homework. For example, you should know how his / her company got started, how fast they are growing and what their needs are both now and in the future. Simply knowing the name of the company and who you are presenting to will lead to an unsuccessful sales pitch. You need to be vigilant. You need to be prepared. Know your audience: You’ll want to format and arrange your sales so that it is specific to your audience. For example, you should have a different presentation for each department you’ll be pitching too. If more than one department is sitting in on your presentation, include data and information that is relevant to each. Also, it is extremely important to engage with your audience, and the best way to do this is to use peoples’ names. Doing so will not only keep your audience interested and engaged, it lets them know that you’ve come prepared and ready to impress. Know your time constraints: Every sales pitch has a time limit, and you need to know what yours is. In other words, stay focused on the task at hand. One of the worst things that can happen to you as a presenter is running out of time before you’re done delivering your pitch. Therefore, try and do your best to keep your pitch short, sweet and informative. If you’ve been given 30 minutes, your pitch should take no more than 20 so there’s enough time at the end for a little Q&A. Don’t read directly from your PowerPoint Presentation: Reading directly from your prepared PowerPoint slide indicates that you’re not prepared. Try and keep in mind that a PowerPoint is nothing more than tool, and it cannot be the only tool you utilize. Think of your PowerPoint as an agenda. You should know your product or service so well that you do not need to directly read from the screen. In other words, know your sales pitch and be able to recite and improvise on demand. Be yourself: During a sales pitch, a company is going to get an understanding of who you are as an individual. People can sense your nerves, so don’t be afraid to get comfortable with the audience. The best way to do this is to talk with them like you’d be chatting with a close friend or neighbor. Granted, that doesn’t mean respect flies out of the window, but you’ll want to be both cordial and friendly. Conclusion: OK, that just about covers it. Did I miss anything? Do you have your own sales pitch advice to share? Hit me up in the comments section, and let’s get this conversation rolling!